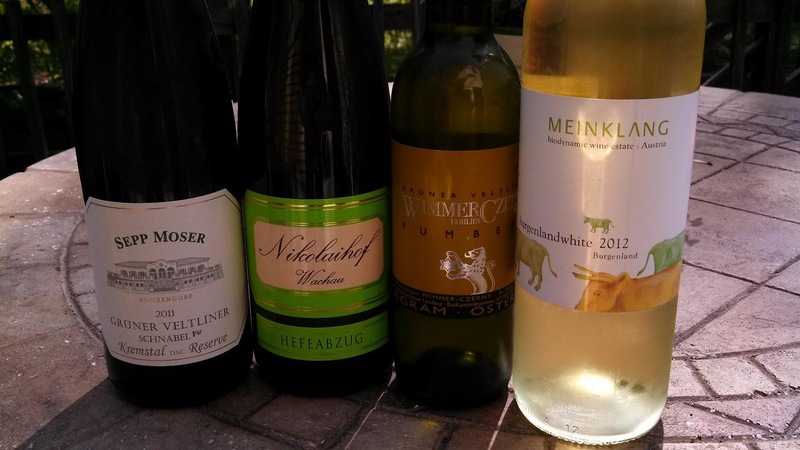 This past week I was invited to participate in a tasting of four biodynamic, Gruner Veltliner wines from Austria for the weekly #winechat discussion. Gruner and Austrian wine has been high on my radar, but biodynamic - not so much. I'm familiar with the concepts, but not the theories or practical applications. And the practical applications and preparations that a vineyard must undergo in order to be certified as Biodynamic by the Demeter classification system can be quite bizarre. Here's one take from the San Francisco Weekly. Another set of practices involve celestial movements. For instance, wine is racked on a descending moon because it is thought that more aromas are lost during a fuller or higher standing moon. Other lunar practices are listed here. But the main focus for biodynamic should be the beneficial vineyard practices, using manure instead of chemicals; using composts; using natural insectacides - all which must have a positive impact on the vineyard and the surrounding countryside. And apparently, organic and biodynamic farming is quite popular in Austria with organic farming accounting for 20% of total grape production - the highest in Europe. But for me, the primary concern was the wine, and in my opinion, they were quite good. We started with the Meinklang Burg White ($15), a blend of Welschriesling, Gruener Veltliner, and Muscat Ottonel. The grapes were harvested from the eastern side of Lake Neusiedl, technically the Neusiedlersee in Burgenland. All these wines were produced using natural yeasts, so the aromas come from the vineyard as well as the Mucat for this wine - floral-citrus, long and powerful. This is a refreshing wine, citrus flavors and even a bright mid that transitions naturally to the finish. The next wine was the Nikolaihof Wachau Hefeabzug ($28), 100% Gruner grown in the Wachau region - located west of Vienna and perhaps the best known region for Gruner Veltliner. This wine possesses a creamy texture a result of neutral oak treatment as well as six months on their lees. It also displays earthy-hay characteristics which intertwine with a lemon citrus nose and peach flavors. An excellent wine. The Wimmer-Czerny Fumberg came to us from Wagram/Donauland, also in Lower Austria, just north-west of Vienna. The wine is spicier than the previous with a citrus - almost pinesol-ish aroma - some pear-ish minerality on the palette, before finishing with a short dose of acidity. 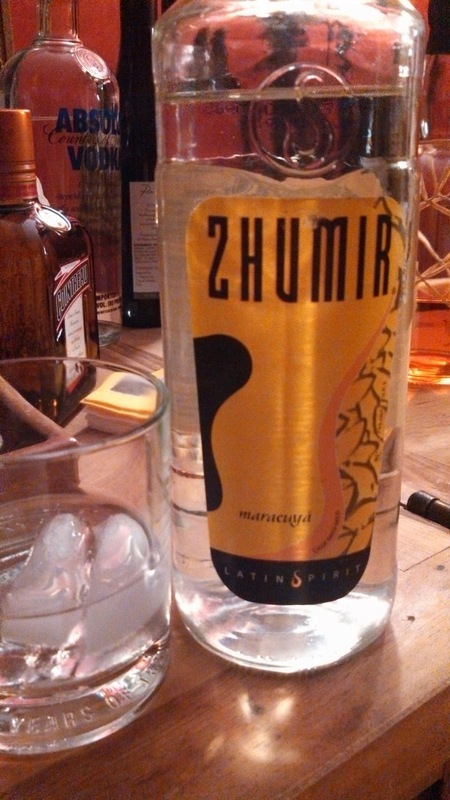 Very different than the previous - but in a good way. Now that Savor has moved to NYC, American Craft Beer Week® is my favorite time to celebrate craft beer.And now that I'm a member of the Brewer's Association I need to spread the gospel. So make plans for May 13-19, I may be heading to Frederick, Maryland for the Brewers Association of MD "Maryland Craft Beer Festival". Boulder, CO • April 25, 2013—From May 13-19, craft beer connoisseurs and beginners alike will come together for the eighth annual celebration of American Craft Beer Week (ACBW). With the tagline “Big Week, Small Breweries,” ACBW is an opportunity to toast the more than 2,400 small and independent American craft brewers who continue to make the U.S. the world’s most diverse brewing destination. Once again, ACBW celebrations are expected to be held across all 50 states. 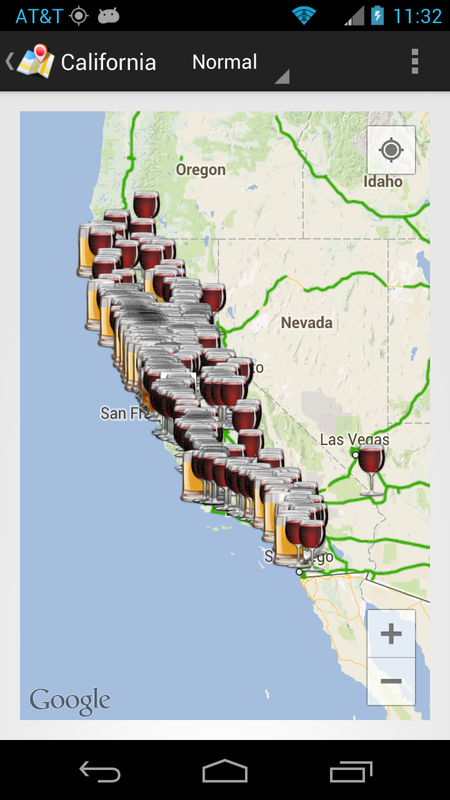 New for 2013 is the American Craft Beer Week Coast to Coast Toast. For the first time ever, ACBW will be commemorated by a simultaneous toast. At 8:00 p.m. ET/5:00 p.m. PT on Thursday, May 16, small brewers and craft beer lovers nationwide will raise a glass of their favorite craft brewed beer to toast ACBW and the delicious beer that it celebrates. 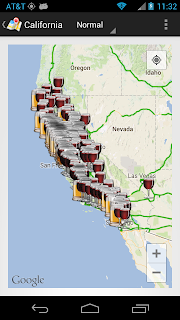 To find a toast location near you, visit the official American Craft Beer Week events page, hosted by CraftBeer.com. ACBW Coast to Coast Toast at Iron Horse Taproom; Washington, D.C.
Find an expanded list of U.S. beer weeks and join the conversation on Twitter with #ACBW. The Brewers Association is the not-for-profit trade association dedicated to small and independent American brewers, their craft beers and the community of brewing enthusiasts. The Brewers Association (BA) represents more than 70 percent of the brewing industry, and its members make more than 99 percent of the beer brewed in the U.S. The BA organizes events including the World Beer Cup®, Great American Beer Festival®, Craft Brewers Conference & BrewExpo America®, SAVOR℠: An American Craft Beer & Food Experience and American Craft Beer Week®. The BA publishes The New Brewer magazine and its Brewers Publications division is the largest publisher of contemporary and relevant brewing literature for today's craft brewers and homebrewers. What is the best First Communion Beer? That's the question I posed to myself while exploring Norm's Beer & Wine for beer for Matthew's First Communion after party. Since Lebanese food was dominating the menu, the obvious choice was Almaza Pilsner Beer - Lebanan's best selling beer. Assisted by brewers in Pilsen, the brewery created a Czech styled recipe with a local twist - incorporating maize that gives the beer a smooth and sweet profile. This creates an appealing beer when several types of beer drinkers are present - and a much better option than the mass produced junk. 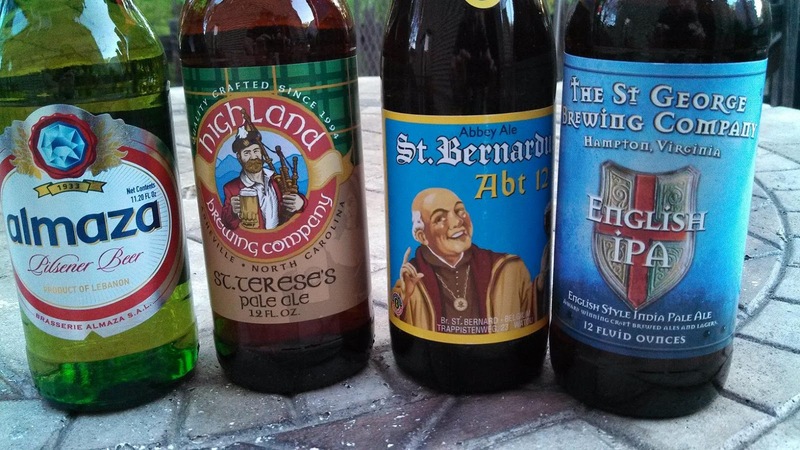 For the more serious beer drinkers I turned to the Saints, St. George Brewing Company from Hampton Virginia and the esteemed Belgium brewery St. Bernardus. Norm's had just received a shipment of the Abt 12, the top tier in the St. Bernardus brand, high in alcohol 10.5% and full bodied - but extremely smooth. Tons of fruit flavor exude from the nose through the tail. I chose the St. George English IPA knowing I would have a few hop heads in attendance - although at 50 IBU it was mild for many. The profile is sweet with a balanced somewhat hoppy finish. I was ready to leave, but then noticed the Highland Brewing Company St. Theresa Pale Ale. being very fond of the Asheville, NC - I plucked a six-pack without thinking. For a pale ale, this has the aroma of an IPA, plenty of citrus that transitions to sweet male, and then finishes again with a citrus profile. A very nice ale. So that was our day - plenty of good beer for a First Communion theme. Cheers. 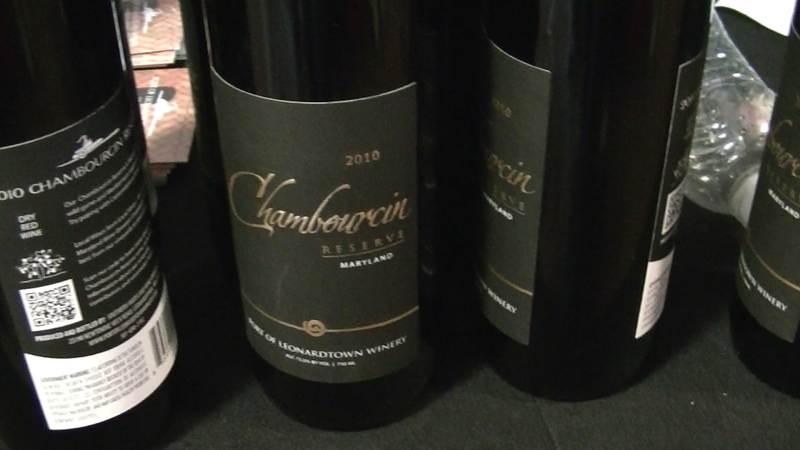 Last weekend I was fortunate to be included in a two day celebration of local wine, particularly, Maryland wine, at the 2013 Drink Local Wine Conference. During these two days of tours, tasting, and seminars; a common question was posed: "what is the best wine grape for Maryland?". That's a tough question considering the diversity of wine we sampled; from traditional Bordeaux varieties, to Chambourcin and Vidal, Chardonnay and Chardonel, Pinot Grigio and Noir, Albarino and Syrah, Sangiovese and Zinfandel, Gruner and Gewurztraminer and even Pinotage and Barbera. And that's not even listing blends. 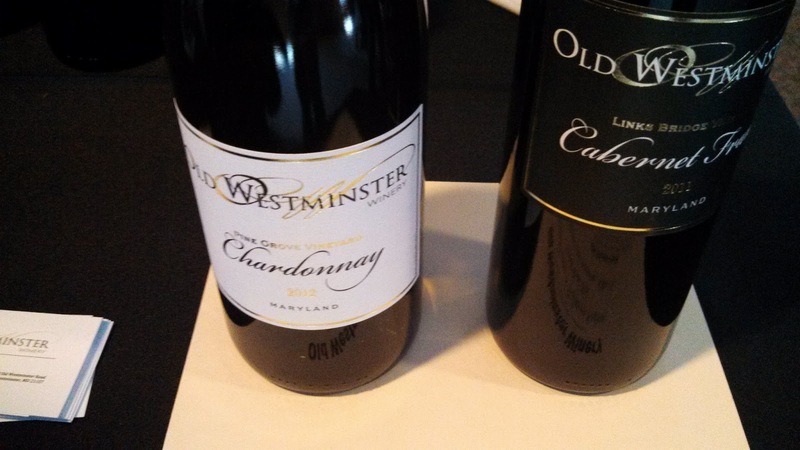 During one seminar, Al Spoler, co-host of Cellar Notes, stated that Maryland should follow the road of Oregon (Pinot Noir), New Zealand (Sauvignon Blanc), and Virginia (Viognier) and hang its hat on Cabernet Franc. 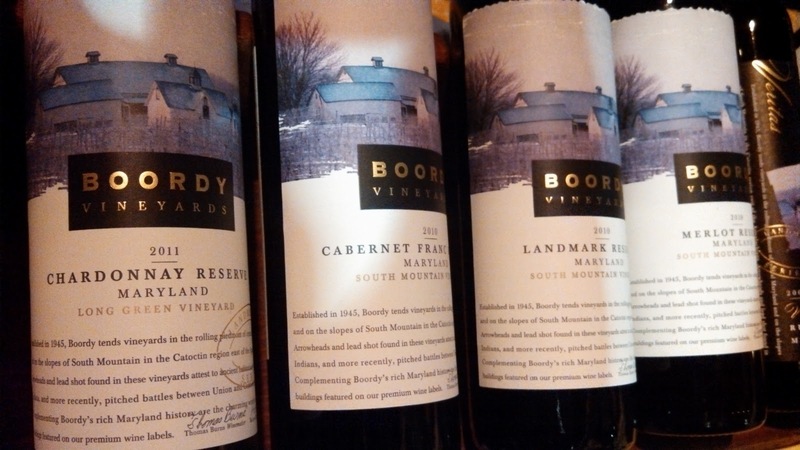 And I tasted several tasty Cab Francs over the course of the weekend, in particular from Boordy Vineyards, Sugarloaf Mountain Vineyard, and Old Westminster Winery. Heck, Thanksgiving Farm even poured a white Cabernet Franc - made in the saignee style with all pigment removed. I would say Cabernet Franc has a future in the state. However, during the next panel, Ed Boyce, from Black Ankle Vineyards, disagreed stressing that Maryland's best grape is a red blend, particularly when the state experiences unusual weather. Just look at 2011 when an "unscheduled irrigation event" occurred and most wineries experienced over 25 consecutive days of rain from late August through September. In these situations, Boyce believes the sub-par grapes can be blended and "declassified" into a lesser brand so that quantity becomes the problem, not quality. 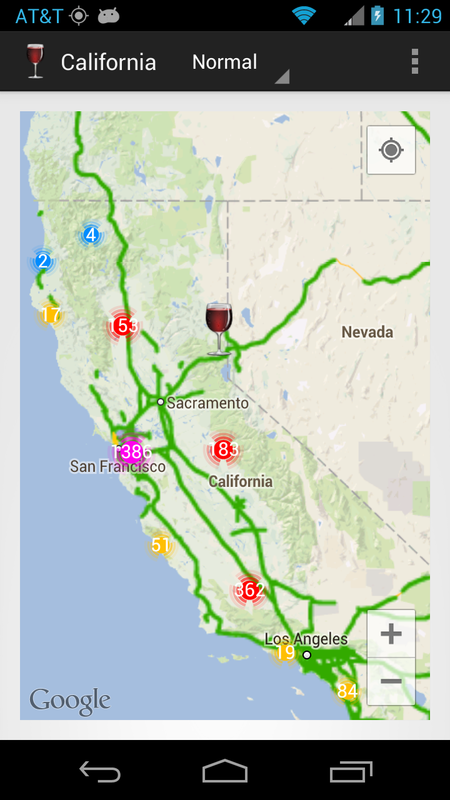 On the other hand, when conditions are more Californian, then the grapes can be blended into a reserve classification. And we tasted quite a few fabulous blends, starting with the standard portfolio from Sugarloaf Mountain Vineyard (EVOE, Circe, Comus) and Black Ankle Vineyards (Crumbling Rock & Rolling Hills) to the Landmark Series from Boordy Vineyards (harvested from the Piedmont's South Mountain), the Thanksgiving Farm Meritage, and Big Cork Vineyards future wines. There's no doubt that red wine blends are solid offerings in the Free State. But there are other red varietal wines worth noting. Boordy and Black Ankle bother offer excellent Syrah and then there's the old champion Chambourcin. 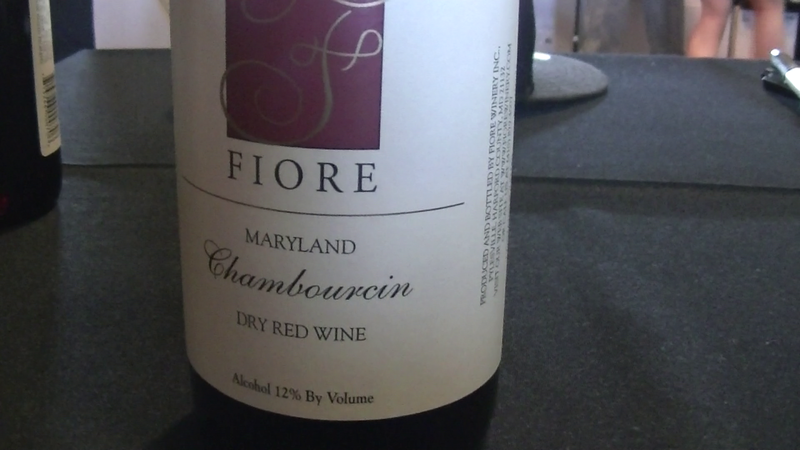 The Fiore Winery Reserve Chambourcin was the first Maryland wine I ever tasted - at least a dozen years ago - and today is still a favorite. I think I was one of a couple people who voted for it in the Twitter taste-off. Let's not forget the Knob Hall Winery Chambourcin and on two occasions our group was poured the Port of Leonardtown Winery Chambourcin and just as tasty as the Fiore. Then there's the suggestions from Dr. Joe Fiola (UofM) who, for the past decade, has been assisting Maryland vineyards determine which grapes best suit their site. (Here's a brief video of his presentation.) For the the warmer southern region, where the diurnal fluctuation may reach a lackluster 15 degrees in the summer, he suggests southern Spanish and Italian varieties that are characterized by higher acids and tannins. One of these was the Slack Winery Barbera - a juicy, yet silky wine - as well as the Woodhall Wine Cellars Pinotage, harvested from the Schmidt Vineyard in the Eastern Shore, and more pinot than "tage" - very smooth. What about the white wines? Black Ankle wowed us with their Gruner Veltliner and Albarino. I look forward to trips to the beach to grab some Bordeleau Pinot Grigio or I'll just travel closer to home for some from SMV. 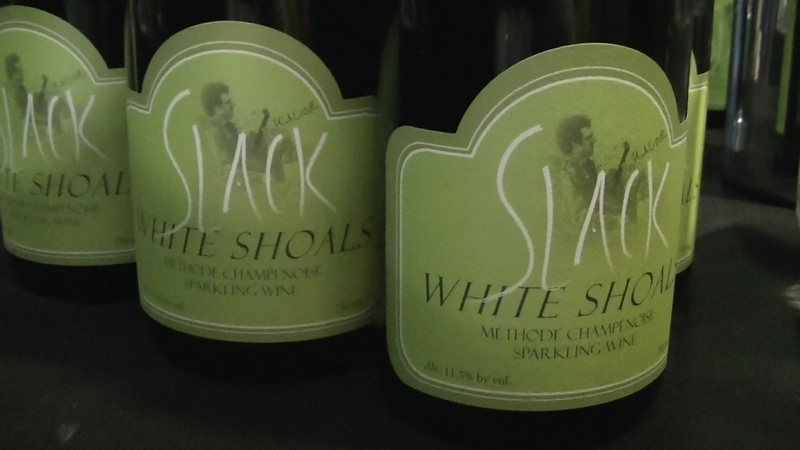 Chardonnay is a stable in all Maryland regions as we tasted several very nice brands; and where that grape can't grow, Slack Winery proved that Chardonnel is a decent alternative. 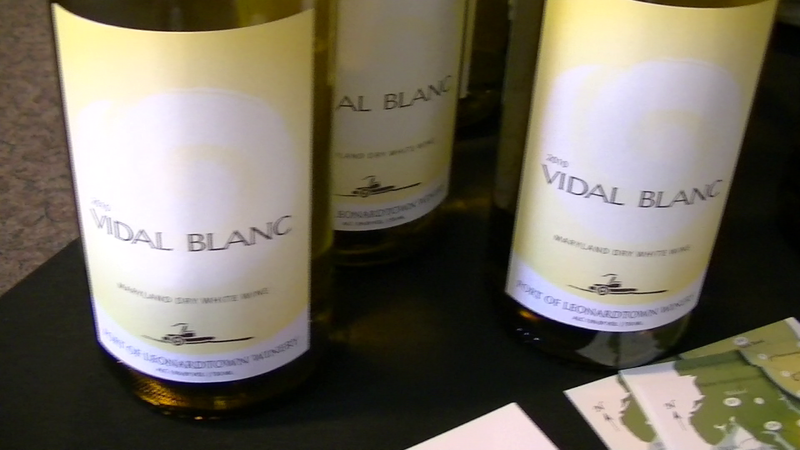 Port of Leonardtown also poured a refreshingly acidic dry Vidal and another favorites was the Gewurztraminer from Elk Run Vineyards. So which grape may be the best wine grape for Maryland? I don't know; maybe its this diversity which will strengthen and expand the industry. Or maybe its none of these grapes at all. We tasted several experimental wines being produced from Dr. Joe's research vineyards which included Colombard, Marsanne, Verdejo, Barbera, and most interesting a slew of hybrids from the former Soviet Union. These cold hardy grapes were actually planted in his southern Maryland vineyard and showed some promising results. 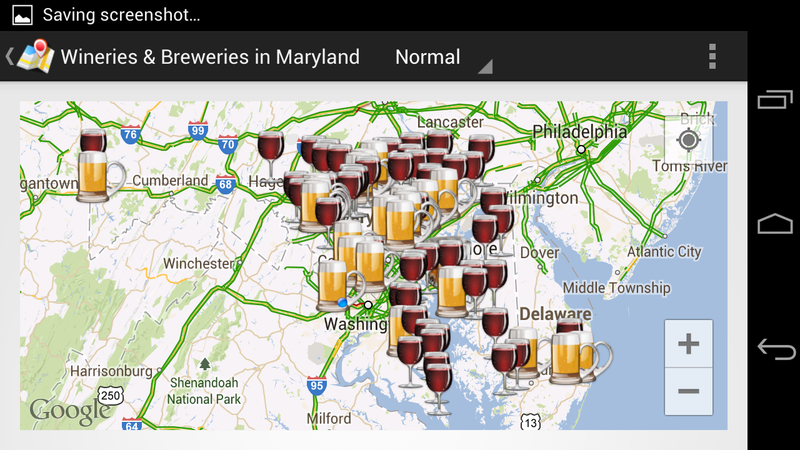 Maybe the future of Maryland wine is SK 7753 or SK 771099. Here's Dr. Joe leading us through a tasting of these wines. I'm looking forward to heading to Baltimore for the 2013 DrinkLocalWine Conference Friday and spent some time last night reviewing past posts on Maryland Wine, particularly The Wine Grapes of Maryland (a little outdated) as well as our trips to Sugarloaf Mountain Vineyard and Old Westminster. 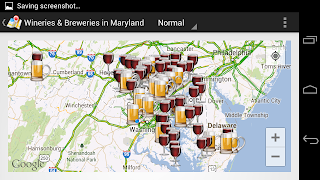 And looking at this map reminds me that Maryland is home to several excellent breweries in addition to Blackwater Distilling. Hope to be able to taste these as well over the weekend. 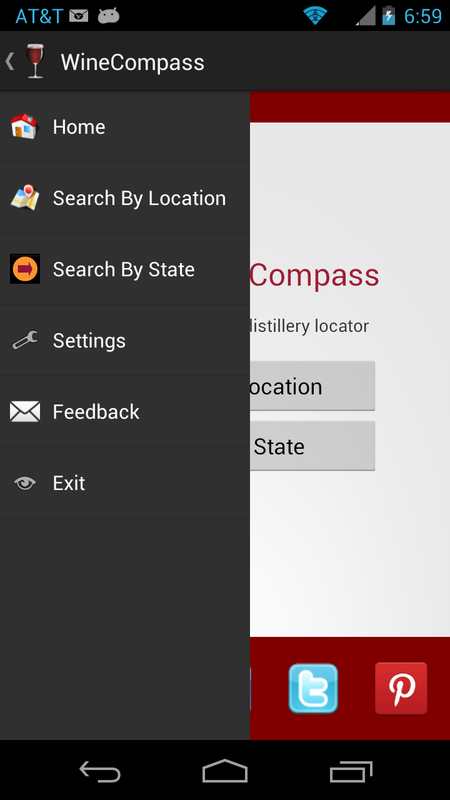 I've been making progress with the Android version of the WineCompass mobile application and have implemented the major search features - by location, zip code, and state. 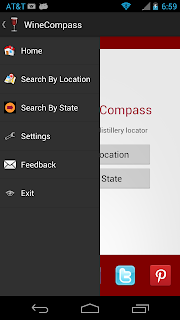 Each establishment is display on a Google map with its marker corresponding to its category - winery, brewery, and distillery. The last major decision I need to make is how to show markers for populous states such as California, Oregon, and Washington. 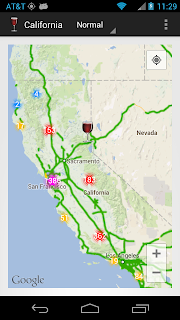 Should I just map each location as in Figure 1? 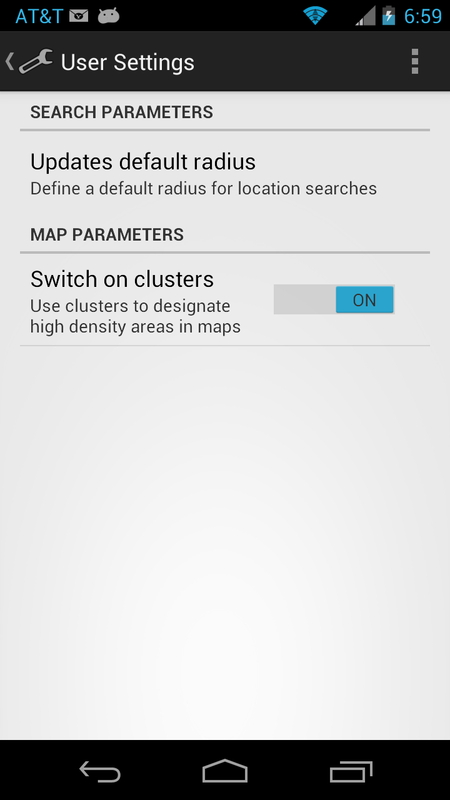 Or is that too busy and instead, should I implement clusters, where clicking on a particularly cluster zooms the mapping coordinates to that location? See Figure 2. Once again I would appreciate your thoughts.